Read here about a designer who is active in the field of researching and innovating tensegrity structures. Val Stavrev is a founder of Helium ET, a tensile structure design and engineering boutique based in Sofia, Bulgaria. He specializes in tensile membranes, shade structures and form finding. 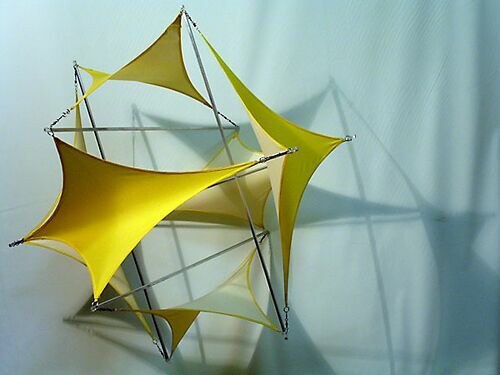 Stavrev adds to the standard tensegrity model a fabric stretched between related tendons. The result is the articulation of a hyperbolic curve between the tendons. This page was last edited on 18 January 2019, at 07:43.